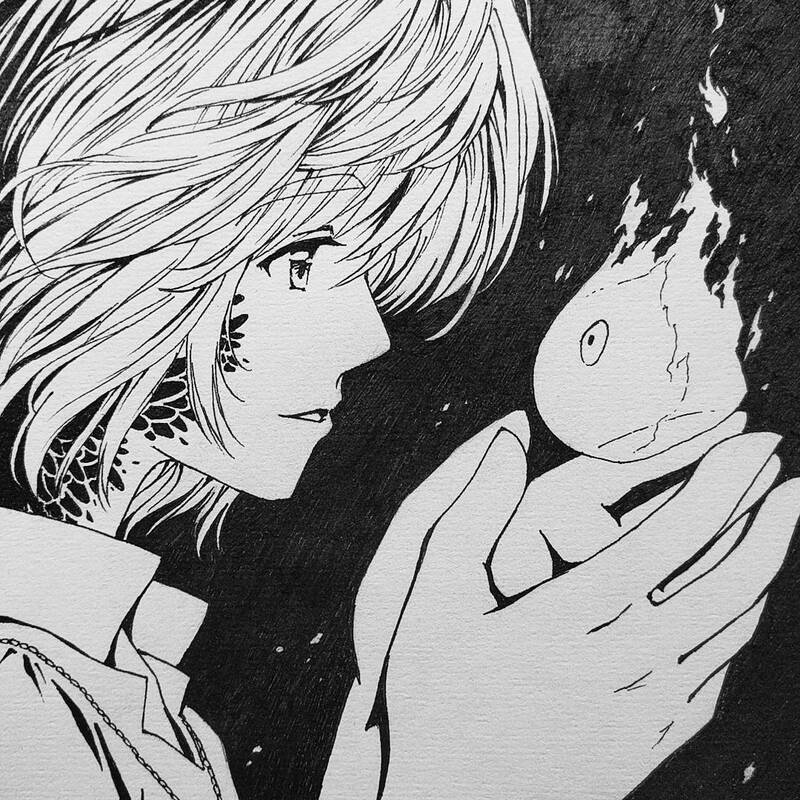 Went with Howl and Calcifer from Howls Moving Castle for the mysterious theme for Inktober. They’re both interesting characters and I really enjoy seeing Howl develop through the story. I’m not used to drawing such close up shots, but did find they’re taking less time to draw than larger, more detailed backgrounds (lol, go figure). I do still get to draw lots of swooshy lines for the hair, so I’m happy. Drawn in pencil, then inked with a 0.1 Uni Pin Fine liner. 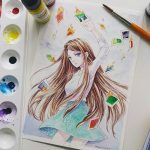 There’s a short video showing some of the sketch progression on my Instagram.